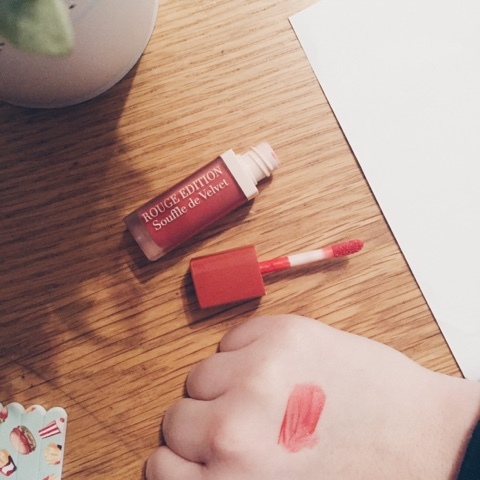 I am a big fan of the Bourjois brand and all of there products hence why I was so excited when they released these new Rouge Edition Souffle De Velvet's! I tested this liquid lipstick out yesterday to give you a good understanding of how this product worked on my lips. The original Rouge Edition Velvet Lipstick is a matte formula and the colour pigmentation is incredible, however I was really surprised with these new editions. The Souffle De Velvet's still dry completely matte however they have more of a sheer pigmentation to them. 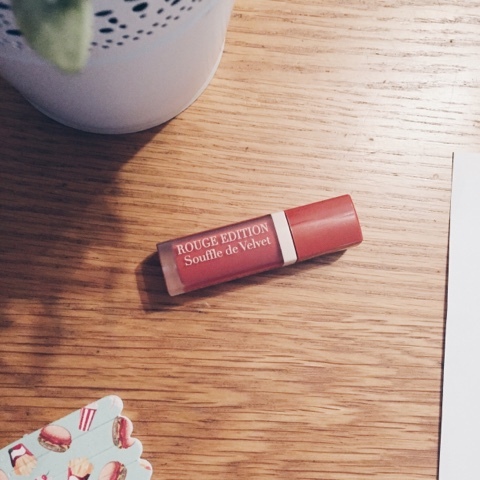 When I first applied this lipstick to my lips, it was very creamy but then felt kind of watery and then the colour seemed to die down into a light pop of colour and looked sort of like a tinted lip balm yet it dried completely matte. I have the shade 08 Carameli Melo and it's absolutely gorgeous. It's a muted red/pink shade - I chose this darker colour as I wanted it more for an everyday wear as I found most of the colours were very bright pinks or reds and I don't like bright colours on myself. As you can tell from the picture above, the colour seemed to rub off a bit in the middle parts of my lips and left a ring around the outside. You can also see if you look very closely that my lips were starting to flake a bit due to the matte formula completely drying my lips out which is weird because with the original velvet lipsticks, they don't seem to dry my lips as much as these ones did yet there the same matte finish. Odd. I did apply a bit of lip balm over the top of the lipstick and that seemed to help a lot for the next few hours that I was wearing the lipstick. By the end of the day, the colour didn't seem to have worn off much more and my lips didn't feel too bad but I believe that was because I went over it with that lip balm. I don't think I could've gone all day without having some sort of hydrating balm to help out my lips a bit as it was too drying for me. I am a tad disappointed in this product however it may work completely different on other people. I don't think the fact that I have naturally dry lips helped either. I will on the other hand continue to use this lipstick as I do love the colour of it but I think I'll just need to constantly touch it up. Have you tried this yet? What are your thought? This post is definitely a lot different to something I would normally do on this blog, however it's something that I've been planning on writing about for a while as I do believe that maybe this could help some people out. I have suffered from anxiety since I was in Sixth Form and it progressed to the point where I used to have big panic attacks and some days I really didn't want to move from my bed for the whole day because I was too anxious to go out or do anything. I had a variety of doctor visits and I had to complete all these boring questionnaires about how I'm feeling so they could constantly keep an eye on my mood and how it switches. I still get anxious nowadays however it's gotten a lot better - I haven't had a panic attack in over 6 months and I always like to get out of the house more. 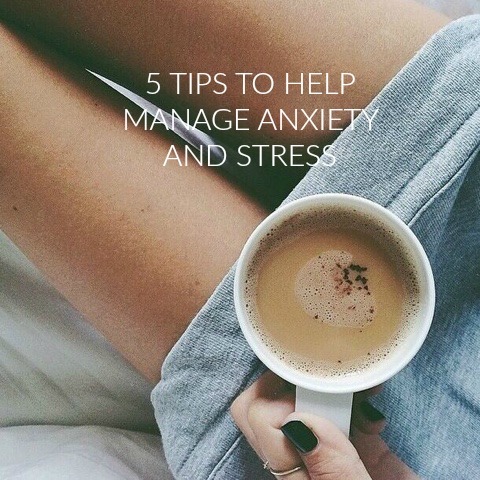 I thought I'd share with you my top 5 tips that I believe everyone that suffers with anxiety or stress should try out (or even if you're just having a really crap day) some of these really helped me whenever I was feeling down, nervous or stressed therefore I'm hoping it could help some of you. This seemed to help me a lot on some days. I bought a cheap journal so whenever I felt stressed or anxious about anything, I would just simply let my thoughts go and write everything I was thinking and feeling in that moment down into my journal. This is a good way of releasing your bad thoughts and negative vibes all into a book. It really does make you feel a whole lot better once you've written something down. Walking releases so much stress. Even on days where you don't want to move or go out at all - just try your hardest to get out of bed, put some clothes on and go for a little 10 minute walk. You'll feel so much better once you get out of the house for some fresh air. It'll also help you to build a bit of confidence in yourself. If you don't want to go alone, then walk with a friend. Socialising and laughing with family or friends will help you feel less anxious and stressed. You often tend to overthink when you're on your own therefore making you feel worse, however if you socialise yourself with others then you'll seem to forget about all those anxious thoughts that may be running through your head. Yoga is a great way of helping with this. There is a lot of yoga tutorials for beginners on YouTube that you can easily look up and try for yourself. It contains so many breathing exercises too which helps with stress. It refreshes your mind and helps to relax your body. Do you have any other tips? Share them with me in the comments. Makeup Geek Palette - I bought a bunch of my favourite makeup geek shades and put them all into this small Z palette which I bought online. It's perfect for travelling as it's small yet still manages to hold 9 eyeshadows in which I can always create many different types of looks from. 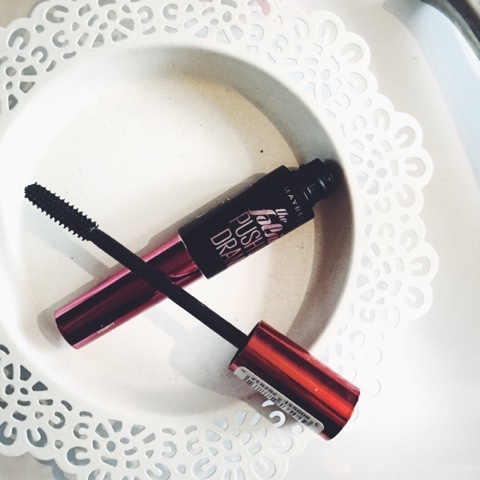 Maybelline Lash Sensational Mascara - One of my favourite mascaras ever. 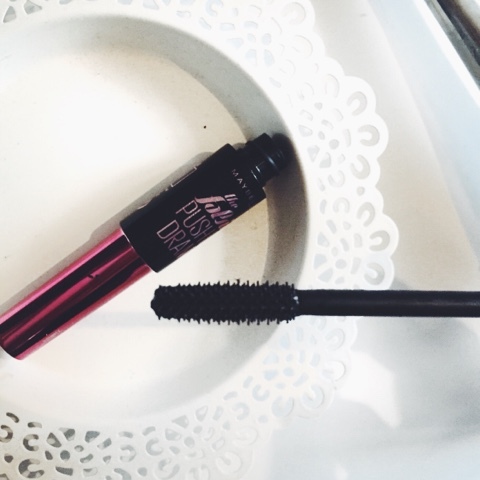 This mascara manages to curl and add massive amounts of volume to my lashes all in one, without needing to use an eyelash curler on an every day basis. It gives an amazing amount of separation to my lashes and it's also great to use on bottom lashes. Collection Primed & Ready Eye Primer - I usually am a fan of my MAC Soft Ochre Paint Pot for priming my eyes but as I'm running out of that product, I tend to be using more of this collection primer instead and I love it. It's kind of like a gel formula and helps my eyeshadow stay put throughout the whole day without any creasing either! MAC Prep + Prime Skin Base Visage - I normally use my Nivea Men Post Shave Balm to help my makeup last all day however that's way too chunky to carry around in my bag therefore I use this little sample size primer from MAC. It's lasted me quite a long time as you only need a small amount of product. It helps with blurring your face and smoothing your skin, prepping for the makeup you put on over the top. It also helps with the longevity of your makeup too. Bourjois Colour Edition Cream Eyeshadow - I always carry around some sort of cream eyeshadow product with me just in case I have one of those days where I cannot be bothered to do a full on eyeshadow look. I carry this Bourjois one around with me as it's a gorgeous champagne gold colour and it's perfect if I'm just wanting that pop of colour on my eyelids. 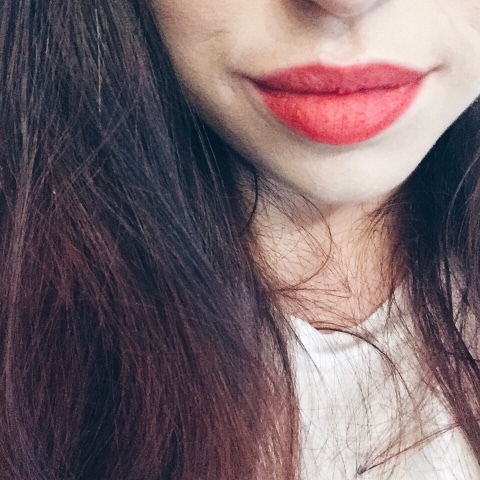 NYX Butter Lipstick - I switch and change my lipstick colours all the time however this was the one that I had in my makeup bag recently because I've seem to have fallen in love with the shade and formula of this product. 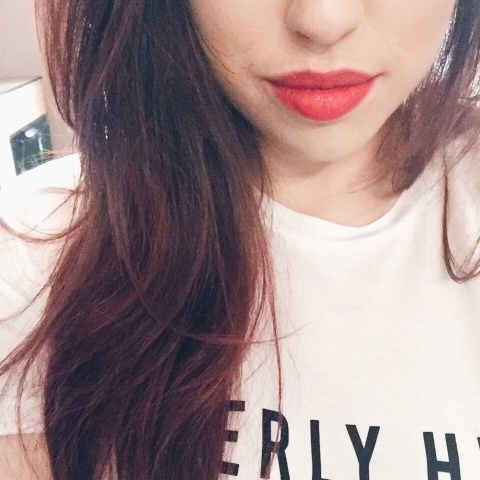 It's very moisturising on my lips and you can never go wrong with a red lip. Too Faced Milk Chocolate Soilel Bronzer - Obviously I love the fact that this bronzer genuinely smells of chocolate because it's infused with real cocoa. I love how subtle yet gorgeous this looks on my cheeks. It lasts for ages too, I've had this for over a year and I haven't even hit pan yet. Maybelline Dream Satin Liquid Foundation - I'm currently still in the process of trying this foundation out. I love the satin finish it gives to my skin and it makes my face look very awake and healthy. The longevity of this foundation seems to be great so far as it's lasting me throughout the entire day. Maybelline Fit Me Concealer - Just a standard concealer which I like to use underneath my eyes and to cover up any odd blemishes that I may have on my skin. It's very full coverage and doesn't seem to crease under my eyes. L'Oreal Infallible Powder - This product manages to keep my face completely matte throughout the day. I do believe that when I first bought this product, I ended up buying a shade too light for me therefore I do feel as if it makes me look like a ghost some days. It's nothing that a bronzer can't fix though which is always good! I was in need of a new mascara and I came across the new Maybelline Push Up Drama Mascara in Boots whilst I was having a peak through the stalls. 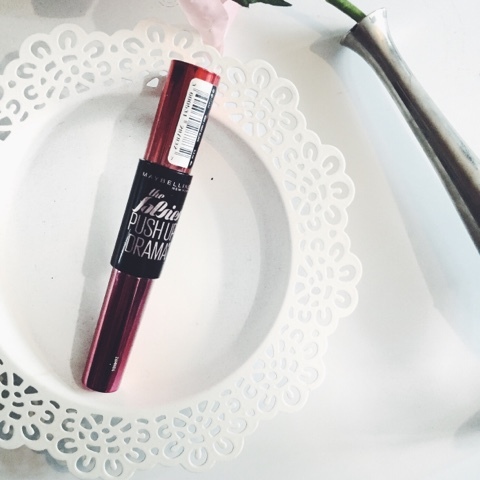 This mascara is part of the falsies line which I am a big fan of as the original falsies was one of my favourite mascaras, therefore I was very excited about trying this one out. Let's talk about the packaging. It's very unique. I love how it has a black center which shows the name of the mascara in bold pink writing and then it goes into a pop of pink colour on the lid and bottom which I find really pretty looking. (At first I thought it was a doubled ended mascara but it's not) It's very different to any other mascaras that I own and it looks luxurious for a drugstore product. It has a rubber wand and short cup-shaped bristles which are meant to help separate the lashes however I find that if I apply too many coats of this product, then my lashes start looking a bit clumpy as the wand picks up a lot of product. It's nothing that a lash comb can't fix though which is always handy. This mascara really does do what the packaging says - it creates perfect volume and curl to my lashes, making them look like I'm wearing "falsies". The formula of this product is very thick therefore I find it takes a while for my eyelashes to dry completely. It's easy to apply to both top and bottom lashes. The mascara held up really well throughout the day. It kept the volume and curl to my lashes and there was also no smudging underneath my lower lash line which is great because I always hate it when that happens. Overall, I do really like this mascara for giving my lashes a good false eyelash look however I'm not too keen on how it can sometimes clump up my lashes but then again, like I said you can always use a lash comb to help separate them. I would definitely purchase this product again though due to how amazing it makes my lashes look. What's your favourite/most used mascara? NYX has recently been released in my local Boots store here in the UK. I was personally very excited about this as I've always wanted to try some of the NYX products out however I never knew where to purchase them from - now I can easily purchase online through the Boots website. 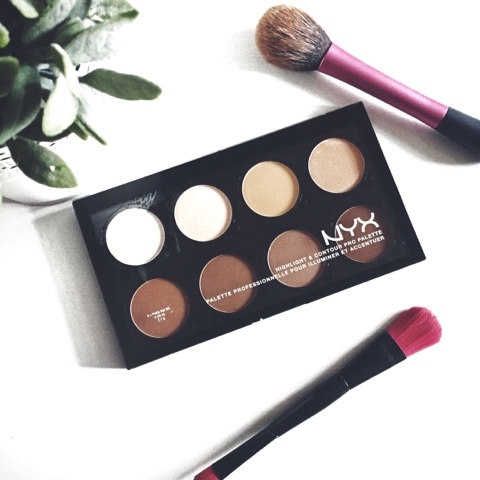 I have heard many good things about the new NYX Highlight & Contour Pro Palette from friends who also own this and from reading review posts, I thought it was definitely something I needed in my makeup collection. The palette is available in Boot's stores retailing for just £18 which I think is an amazing price for the quality of this product. Ice Queen - A shimmery white shade. Perfect shade to use as a highlight. Soft Light - A cool toned matte setting power. Good for setting under eye concealer. Cream - Another matte setting powder however this one is more on the warm toned side. It's more of a banana shade. Nectar - This is a gorgeous champagne shimmery shade. Works really well as another highlight shade. Tan - A matte warm toned bronzed shade. Toffee - A slightly darker bronzed brown compared to Tan. Sculpt - Cool toned brown, perfect for sculpting out cheek bones. Hollow - The darkest brown of the palette. Matte milk chocolate brown shade. Perfect for a dramatic contour. Each of these shades are refillable so you can easily pop these colours out of the pan whenever you've ran out and then just replace them with more, although I'm not sure where you can buy the re-fills over in the UK. I may need to do more research on that. All 8 of these shades are very highly pigmented and very blendable. 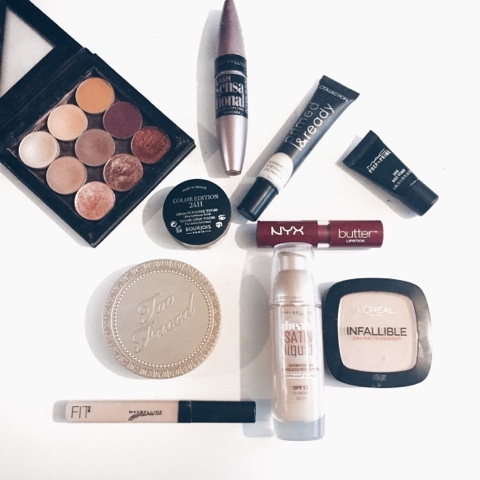 Some shades are more powdery than others I have noticed, however once using them a few times they seem to smooth out a lot more and less product comes off of them. On most reviews that I have read about this contour palette, I have seen that it's been compared to the Anastasia Beverly Hills contour palette. I can't tell you anything about that because I haven't tried that palette out yet however I find that this contour palette gives you everything you need and more for such an amazing price range, that you wouldn't necessarily need another contour palette because this one does the job for you. 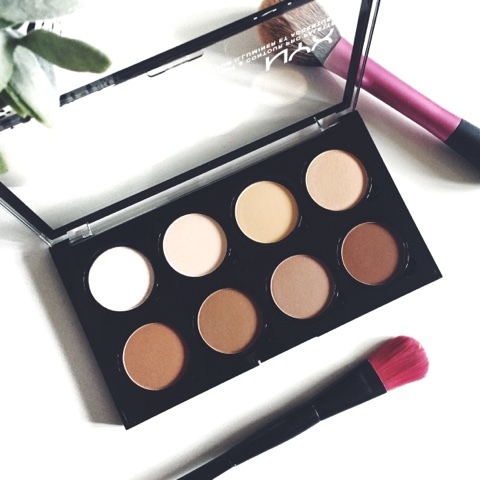 Let me know in the comments if you've tried this contour palette before and what your thoughts on it are!